Because modern day social media platforms do not want you to leave their platform. One of the large reasons for social sites to clamp down on organic reach is that it makes you need to spend money to get the reach that you were once used to and relied upon to generate traffic. And it worked for them just look at this graph below. 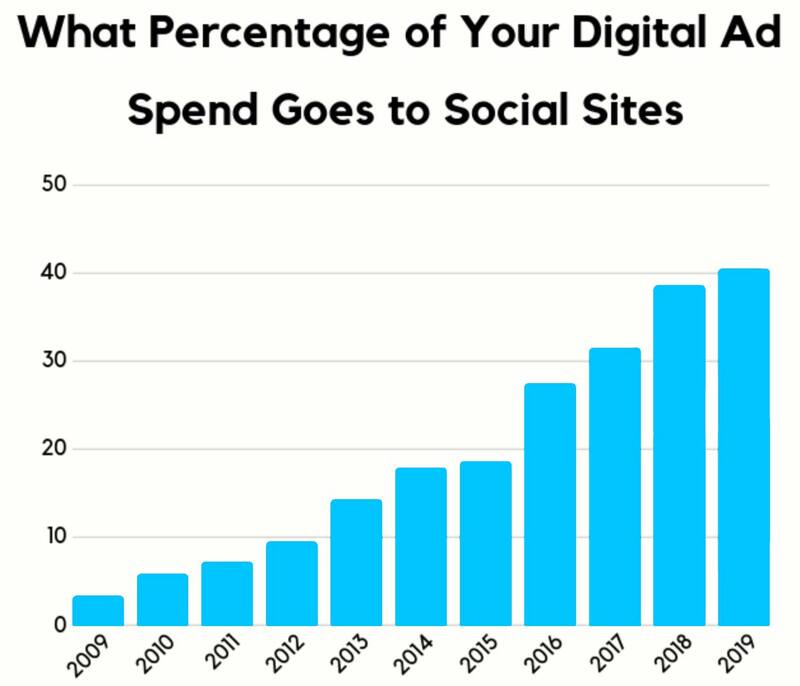 You can see that businesses are spending a larger percentage of their digital ad spend on social every single year. But here comes a problem in the United States during mid-2017, Facebook had more advertisers than ad placement inventory. So Facebook adjusted the algorithm to increase the number of variables that affect the success of your ad, making everyone's dollar not go the same distance. 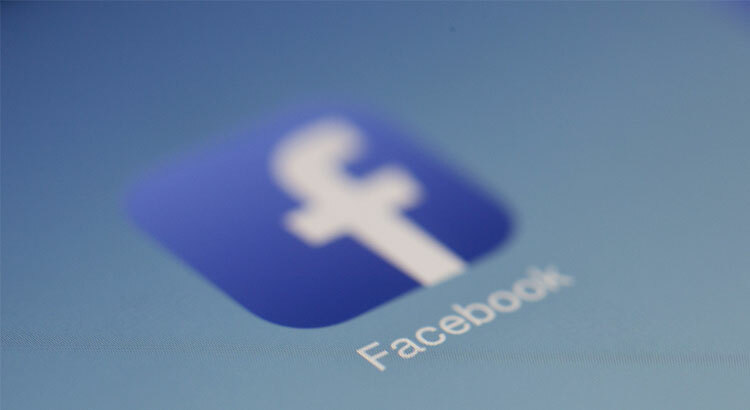 Meaning your competitor could now spend $50 on Facebook and reach 1,000 people and you could spend $100 on Facebook and only reach 500 people. What are marketers doing to be able to spend less money and get way more sales than everyone else? Meaning for every person who visits your website Facebook will automatically match them to their Facebook user profile. This then fires an action to tell your Facebook ad algorithm to show your ad to users who most closely match the people who took a valuable action on your website. If you already have a Facebook Pixel set up on your website then the only thing you need to do is to just activate it. Here is how you can activate it. By simplifying your ad account structure, you allow Facebook machine learning to auto test which creative and ad placements drive the best results so that they can optimize it for you in real time. The easiest way to simplify your ad account structure is to only have one campaign per objective. Then have all of your ad sets underneath the same campaign. Campaign budget optimization will help improve ROI by automatically distributing your ad spend to the top performing ad sets in real time. This will bring huge value because you are not having to manually figure out which ad set is performing best. This saves on both time and ad cost, as Facebook will work to optimize campaigns to deliver a cheaper cost per result across all placements. The Facebook ad algorithm has gotten super intelligent. It will find the best cost per result if you let it. But if you continue to choose where you want your ads to show because you think you know best then you’re going to lose. With dynamic ads, it will automatically deliver the right product ad to the right person, based on the interest they’ve expressed from your site, app or elsewhere on the internet. Dynamic ads automatically pull the creative from your website or app then it shows the creative that has gotten the best results for you. Over the upcoming months and years, you can assume social media algorithms are going to get tougher from both an organic and paid perspective. Data shows social media is on the rise. The sites aren’t growing at a rapid pace anymore but that’s due to the majority of the world already being on the platforms. As long as you follow the strategies above, then you’ll be able to maximize your social media traffic and revenue even when the algorithm changes in a way that doesn't favor you.